Welcome to Sasha's Big Brother Hell, this is a former group game series following the reality television show Big Brother. The series was hosted by Sasha [SashaBaby2010] through its entirety. This is a sister series to Sasha's Reality Series. Season 1 ended on Monday, September 19, 2016 which resulted in Dylan [Halloween] winning by a 7-2 vote. Season 2 ended on Monday, November 7, 2016 which resulted in Dylan [Halloween] winning his second straight season by a 4-3 vote. 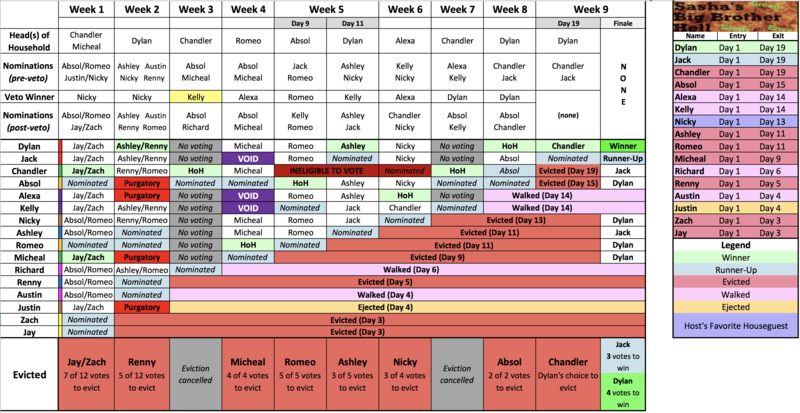 Season 3 ended on Monday, December 12, 2016 which resulted in Nick [Brandt69] winning by a 4-3-0 vote. Season 4 ended on Friday, January 13, 2017 which resulted in Lee [CrimsonEnnui] winning by a unanimous 5-0 vote. Season 5 (All-Stars) ended on Sunday, February 12, 2017 which resulted in Austin [ItsAustin] winning by a 5-2 vote. Season 6 was cancelled due to a personal matter. 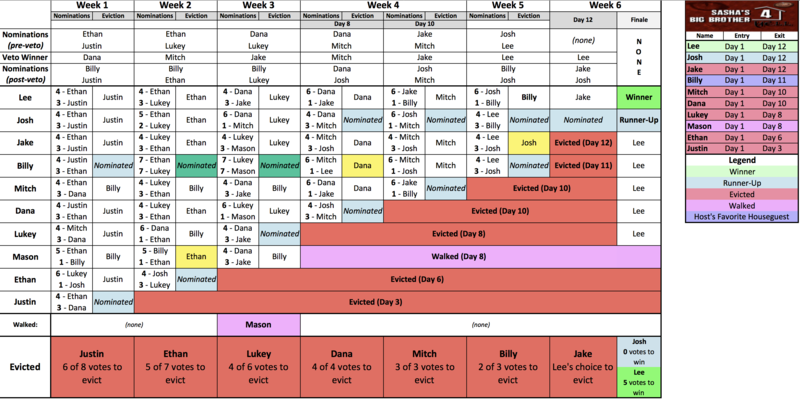 Season 7 ended on Sunday, August 27, 2017 which resulted in Dylan [Halloween] winning by a 4-3 vote. In August 2017, Sasha announced that the seventh season would be the final season, thus concluding the series.